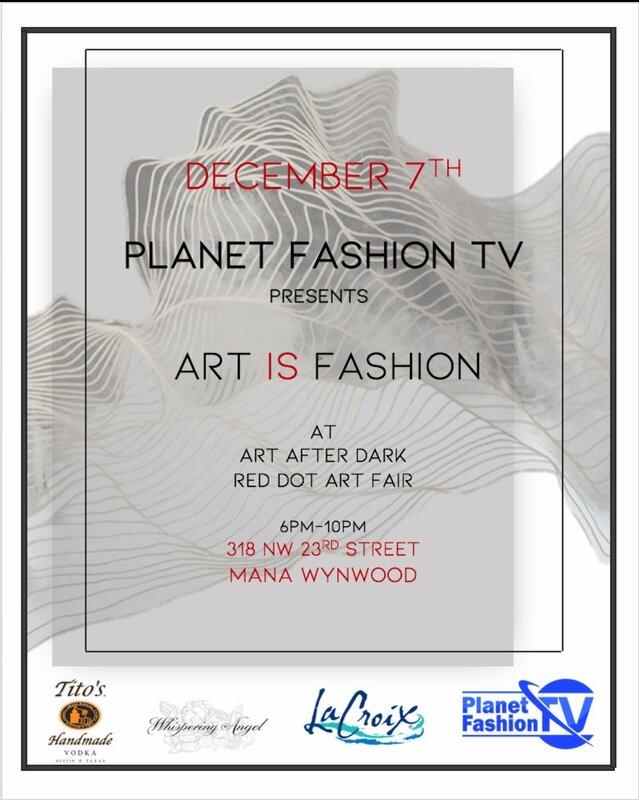 The Planet Fashion TV Art Is Fashion party is one of the best events during the Art Basel Week in Miami. Apart of Red Dot Fair in prestigious Mana Wynwood filled with international fine art, outstanding live musical performances, food, and fashion of course! It’s a fashionable mix of art, buyers, VIP and influencers inside.